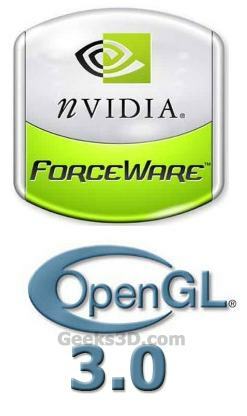 NVIDIA has published a new set of ForceWare that supports OpenGL 3.0 for Windows XP/Vista and Linux (32/64-bit). This driver targets Quadro FX and GeForce 8 series or higher. OpenGL 3.0 is not supported on NV3x, NV4x nor G7x hardware. NVIDIA ForceWare 177.89: OpenGL 3.0 Available!